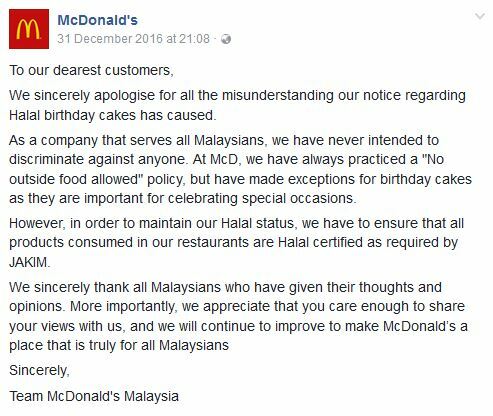 McDonald’s Malaysia has stirred a storm in the teacup in the last week of December 2016 by issuing a notice that only halal-certified birthday cakes are allowed in its premise. The following is McDonald’s explanation and apology. 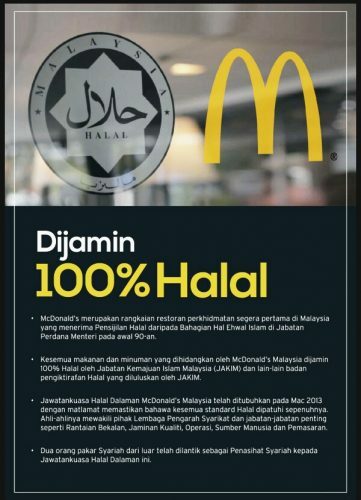 The notice has not gone down well with non-Muslim Malaysians who fumed at the decision made by McDonald’s. Many were critical of the decision and planned to boycott the US fast food chain. One important issue often raised by netizens is what would happen to mom’s birthday cake? Reality speaking, most bakery shops are not certified halal and this would create a problem. Some even questioned if McDonald’s should celebrate Christmas at all. JAKIM, the Islamic authority tasked to issue the halal certificate, has lauded the move in a statement issued on 4 January 2017. “We will continue to cooperate with the authorities in the entire local market including Jakim to ensure our products meet the requirements of consumers in Malaysia,” said Mondelez. In 2014, Mondelez was embroiled in a halal saga when traces of pork DNA were detected in some of the Cadbury chocolates in Malaysia. JAKIM later affirmed that all Cadbury products in the country complied with Islamic laws and the Malaysian halal standard, thus putting an end to the speculation. As Malaysia positions itself as the world’s leading halal hub, halal-friendly policies and the strong focus on halalness are increasingly impinged on one’s daily life in a multi-ethnic society like Malaysia. 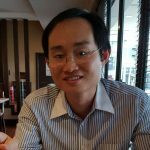 In the quest for stronger regulation on morality and permissibility, the unwritten rules are becoming codified and come to the limelight, and this has sparked uproar among the public especially from ethnic minorities. Manufacturers and brand owners need to thread a fine line to ensure their brand is protected. They also need to make sure their actions are sensitive to all consumers. 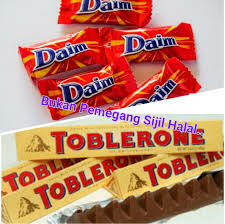 The Toblerone issue shows how the quick action by Mondelez with additional clarification by JAKIM has protected the brand from further damage. Even the Federation of Malaysian Consumers Associations (FOMCA) has stood by Mondelez by saying if the product did not receive the halal certification, it did not mean that it cannot be consumed if the ingredients and the manufacturing processes are not in doubt and halal. However, who can really be sure if the production process is not tainted without the proper audit by the Islamic body? For McDonald’s, the key issue is the ingredients in the cake. Of course, no sensible parents will give their children alcohol-infused cakes. If the loose standard for Toblerone is similarly applied on the birthday cakes then McDonald’s can check with the parents on the ingredients. If they are still not sure, at least prevent the cakes from being kept in the McDonald’s refrigerator to prevent possible contamination. 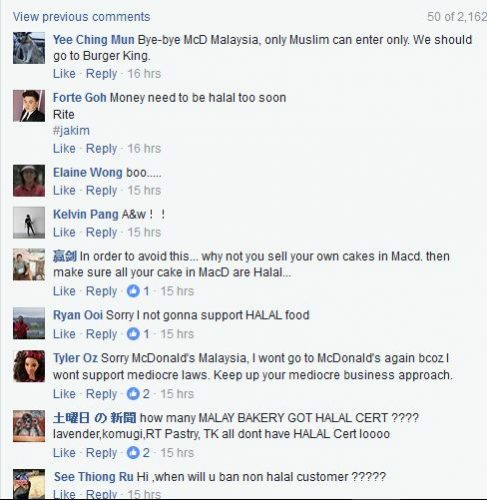 The best solution for McDonald’s is to start selling its own halal-certified birthday cakes. Finally, McDonald’s handling of the issue has failed from a PR prospective and will become a good case study for practitioners of what not to do.